Today is going to be a good day. It is going to be a hard day, but I am determined to make it a good day. Two years ago today, my dad passed away. Even as I type those words, it just doesn't seem possible. Two years and though the pain is not as raw, it is still there, every day. But today I am not going to focus on the pain. I will have a good cry, but I am also determined to laugh. To remember all the wonderful things that my dad was and still is to me. 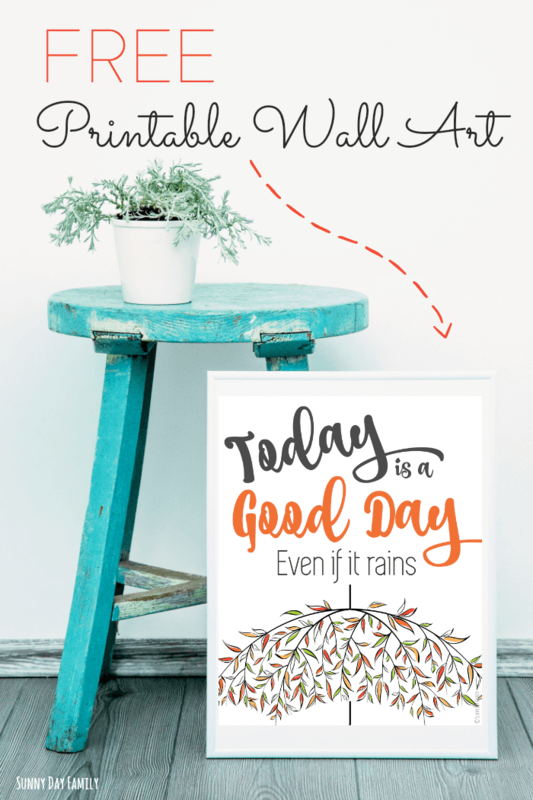 And to live my life by his words: Today is a Good Day, Even if it Rains. My dad had a lung transplant three years before he died (you can read about it here). He went through hell and back to get those extra three years with his family - more medication than you can imagine, pain, setbacks - but he never complained. He looked at each day as a precious gift and lived his life accordingly. And he loved to say that "today is a good day, even if it rains." I've vowed to live my life according to his mantra, and try to focus on the good of each day. Even if its raining, literally or figuratively. I deal with my difficult moments and move on, because there is good in every day. Even on this day two years ago, I found the good. Because that is how he lived and how he continues to live on in me, and all those who knew and loved him. In honor of my dad, I've created a lovely reminder of his favorite saying, and I'm offering it as a free printable 8x10, so that I can share his thoughts and words with all of you. 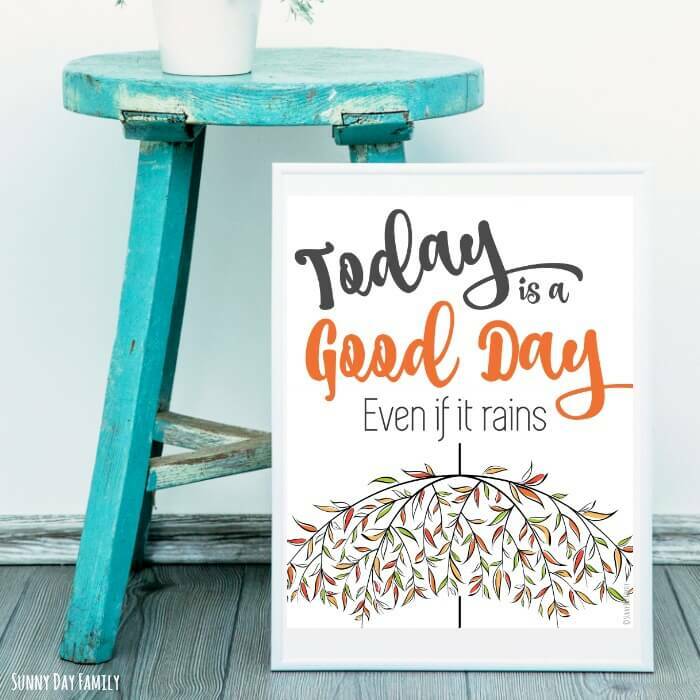 Suitable for framing on the wall or the mantle, use this inspirational quote as a way to remember to look for the good in every day, even if it rains.